The San Antonio Youth Ballet is making history as San Antonio’s First Youth Ballet with a live orchestra. 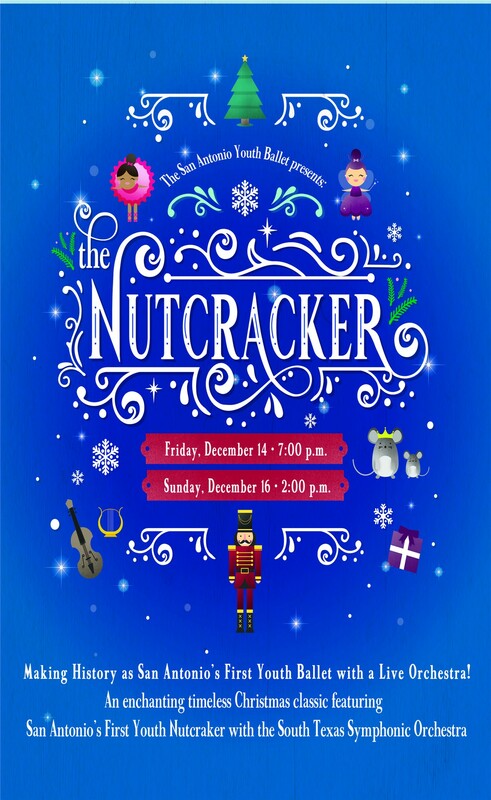 Join Jo Long Theatre for the enchanting, timeless Christmas classic featuring over 80 youth and professional dancers and the South Texas Symphonic Orchestra. 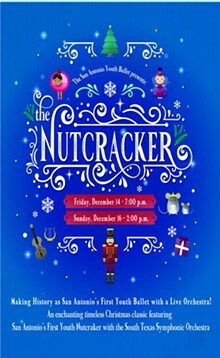 Experience the captivating world of "The Nutcracker" where our young heroine vanquishes the Mouse King to save her beloved Nutcracker through the Land of Sweets where Russian, Chinese, Spanish and Arabian dancers, along with Mother Ginger and her children, present them with beautiful gifts.